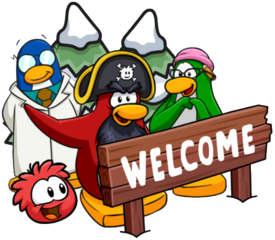 CP Rewritten: Mancala has Released! Mancala can now be played on Club Penguin Rewritten at the Book Room, as part of one of the Christmas surprises! You’ll find several boards over at the Book Room where you can start a game with an opponent. 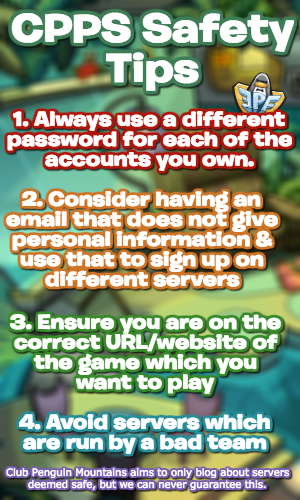 I would provide a guide on how to play but…I’m not exactly sure myself! There’s some instructions at the top right though in case you aren’t sure either. I have no clue either! In your turn, you must click a oval in your side, the stones in the oval will move, the first one goes to the next oval, the second goes to the one after it, and so on untill there’s no more stones left in the starting oval, the big ovals on the sides are your point meters, your one if you are in the down side (which is used by first player) is the one to the left (since stones move to your right), and for second player its to the right because stones move to left for him (because stones moves in a circle), to win, you must get more stones in your big oval and smalovals your side when the game ends, you get stones two ways, first is making stones left a stone in it during a turn (which happens mostly by your opponent since you need many stones in the same oval you choose in your turn to make your stones reach you big oval), and by using a trick, which happens when you have an empty oval (from normal\small ones, not the big one), and your opponent have some stones in the one that’s upward\downward it (depends on if you are first or second player), then you play and the final stone goes in the empty oval, this way you get all these stones in the perviously empty oval, the game ends when one of you have his side empty, i know its hard to understand, but try and you will success.